Experience that retro feeling combined with modern technology! TOP FEATURES: Eleven track and field events, four game modes (Championship, Multiplayer, Continuous and Training Mode), two difficulty levels, fully localized with text in five languages, English voice and stadium sounds, 28 achievements to unlock plus our innovative Training Effect (the more you play, the stronger your athlete gets)! Who is the greatest athlete? 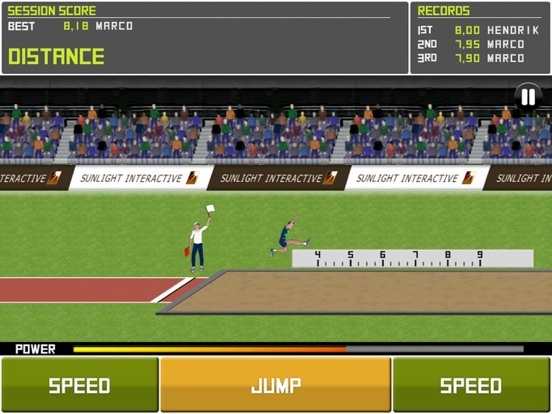 Find out with your friends as you fight for the gold: Deluxe Track & Field offers more exciting events than a decathlon! 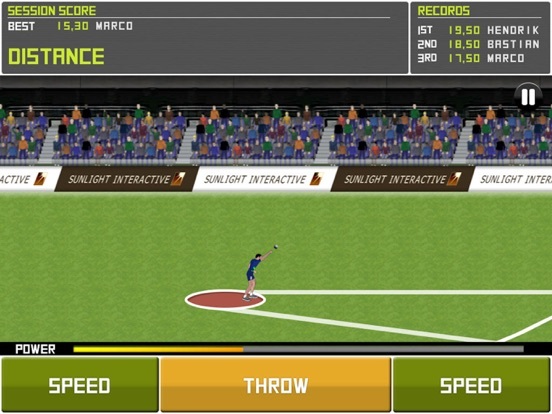 With a mixture of retro style graphics and modern technology, Deluxe Track & Field is guaranteed to grab your attention: its eleven diverse and exciting events will provide you with long lasting fun and entertainment. The game supports Apple's Game Center for iOS, so you will always be able to see how your results are matching up against the results of your friends. 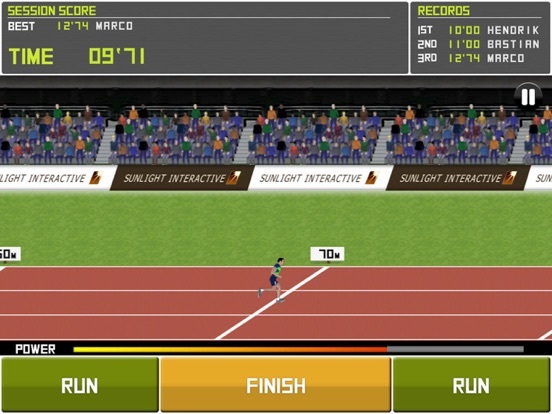 Limitation of the lite version: only play the events '100 Metres', 'Long Jump' and 'Shot Put" in training-mode.